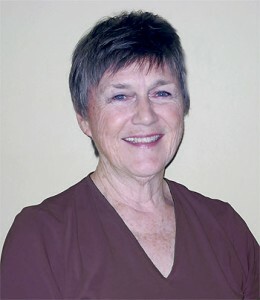 Martha Ann Carey is a social psychologist and registered nurse whose experience developing, implementing, and evaluating social science research was gained through years of working with public health agencies of the U.S. government, including the National Institute of Mental Health, the National Institute of Nursing Research, the Substance Abuse and Mental Health Services Administration, and the Government Accountability Office. She has overseen the development of support for and the progress of research programs, as well as the reviews of thousands of grant applications. Her pragmatic approach to research design and her education in qualitative and quantitative research methods were put to use in academia where she taught research design and qualitative methods courses in doctoral education and nursing programs, and she served as an investigator for federally funded grants. Her international work includes plenary and invited panel presentations and qualitative research workshops in Thailand, South Korea, England, Australia, Italy, Spain, New Zealand, Malaysia, and Canada. Supported by a U.S. Public Health Services International Fellowship Award in 1998, Dr. Carey was the first fellow at the International Institute of Qualitative Methodology in Edmonton, Canada, . Martha Ann is the senior author of the book, Focus Group Research, which is based, in part, on her experience doing focus group research with adolescents, ethnic minority community health workers, methadone clinic clients in the South Bronx section of New York City, a corporate training program evaluation, elders in social housing, and HIV patients in an early study in the US military. She continues to work with nonprofit organizations and mentors researchers through her work with Kells Consulting, a services research and training firm in Pennsylvania, United States of America.